Mumbai, September 5th, 2018: As a salute to Housekeeping Olympiad Week, The Taj Mahal Palace, Mumbai hosted the first ever Housekeeping Olympiad for Taj, Vivanta and Ginger Hotels in Mumbai on 31st August & 1st September 2018 with an objective to promote Housekeeping camaraderie and skill sharing. 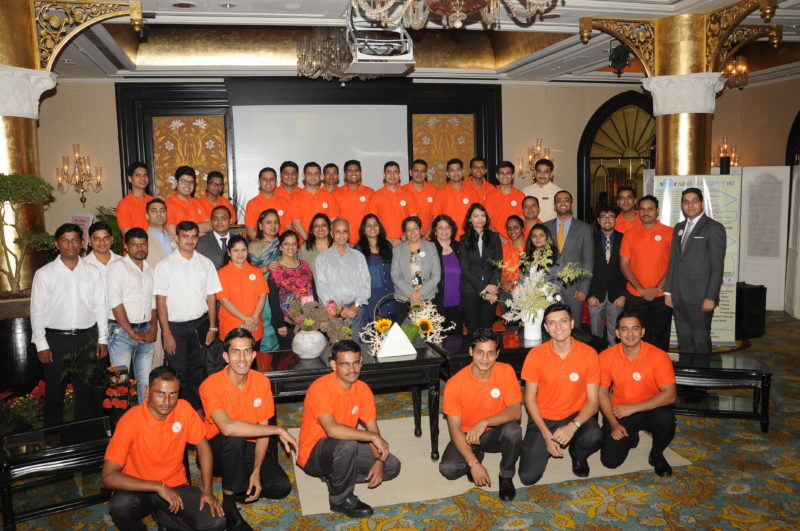 The IHCL hotels in Mumbai sent teams of Housekeepers and Housekeeping associates to participate in this mega two-day event that was held at flagship The Taj Mahal Palace, Mumbai. The event included a series of workshops, highlighting the recent innovations in housekeeping globally, including trends and best practices from the industry, along with multiple inter-hotel housekeeping competitions that challenged the hotel teams in terms of knowledge and skill set. Mr. Anmol Ahluwalia, General Manager, Taj Wellington Mews Luxury Residences and Head of the Centre of Excellence, there are practical little things in housekeeping which no man really understands however to drive the cutting edge, immaculate and crisp housekeeping, you need to think from your heart and feel from your mind. Housekeeping today has evolved beyond just the regular dusting and sweeping of rooms. Today it involves thinking like a Business Manager, creating out of box ideas and implementing them and driving change. It is a department which has a perfect amalgamation of People, Product, Process and Passion. I feel, being a housekeeper myself Housekeeping is a catalyst department that drives change and differentiates between a good and a great hotel. Day one included sessions on nanotechnology and its implementation, flowers and horticulture, machine cleaning and maintenance. Several experts will be present, including the team from Diversey India and the proprietors of PURE room. The second day was an exciting day with seven contests planned through the day, including fabric identification, bed making, innovative room set-up, festival-based table set-up, etc. Teams competed to win the rolling Housekeeping Olympiad Trophy for 2018. Housekeeping is like being caught in a revolving door and is a continuous process of always ensuring and maintaining each area, each uniform and each square inch of the hotel spotless, well maintained and well kept. The scope of Housekeeping over the years has increased from just simple cleaning of floors and washing of laundry to now evolving to intricate topics like Floor Care, Fabric Care, Eco – cleaning, Nanotechnology etc. Executive Housekeepers are breaking the mould now and becoming smart business managers and also working along with their Finance heads and General Managers to effectively contribute to the hotel’s bottom line.